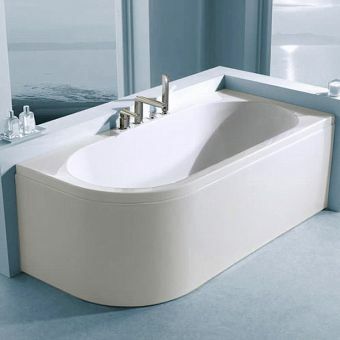 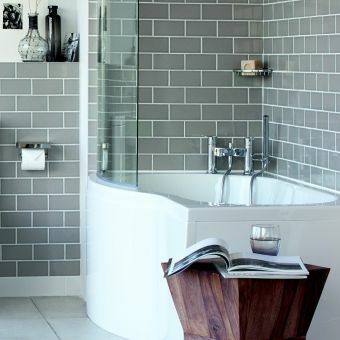 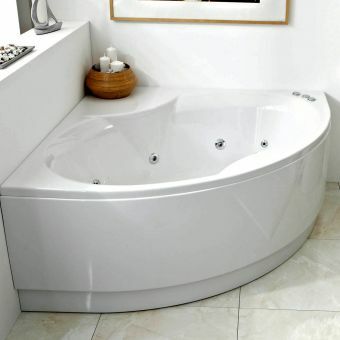 The Villeroy & Boch Squaro Corner Bath brings a touch of class to any bathroom. 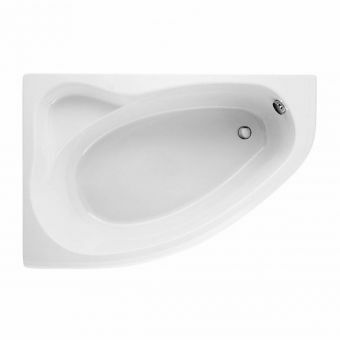 It combines crisp lines and smooth curves to create an exquisite contemporary balance. 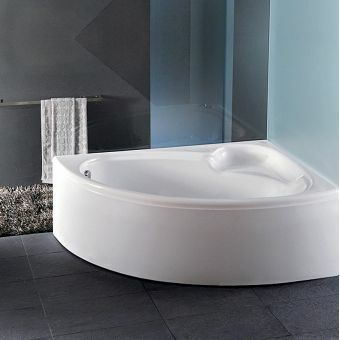 It transforms the dated concept of a corner bath into space and a shape that would be well suited for a designer luxury modern bathroom. 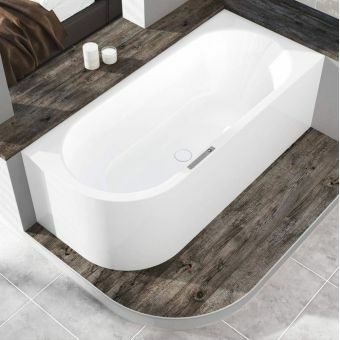 We partner this bath with a standard white panel but it can be used with a Glossy Black Panel or Satin Finish Chrome, just speak to our sales team for more information. 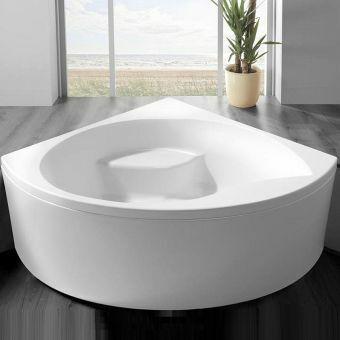 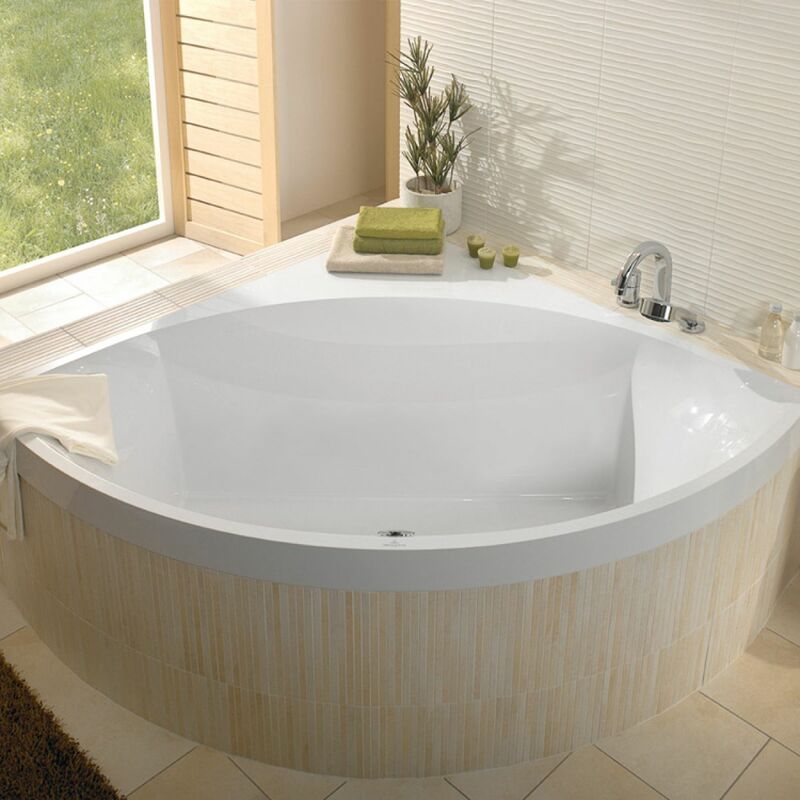 If you want to take this bath to the next level then ask our sales staff about the hydrotherapy options that can be installed.